To be initiated to Reiki leave your application and wait for the confirmation Reiki master teacher in the subject. Write an application in advance and specifying the desired date and time of the initiation of rail. For example - "I ask the setting for the first level of Usui Reiki Ryoho April 25 at 22:00 Moscow time." You should take a shower (or wash). Find a comfortable place where you will not be disturbed for an hour. Sit or lie down. Arms are at your sides, palms facing up. Relax and enter a meditative state. To do this, put your attention in the abdomen. Make belly 03.05 deep breaths. Calm your mind and your heart rate. - "I (name) is ready (a) the setting to get the first level of the Usui Reiki Ryoho, which I sent Master Irina right now." Do not worry, the initiation into Reiki will take place. That happened to you during the initiation of Reiki, you know, everything - for the better and everything is as it should be. Sensations during Reiki initiation always individual. Sit back and watch the flow of energy in your body, your feelings. Evaluate what is happening is not worth it. Understanding the initiation of Reiki will come with time, in the course of practice. 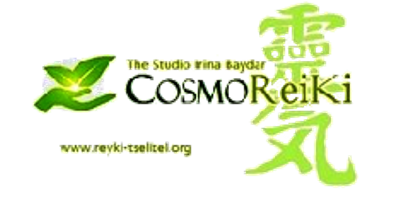 After initiation of Reiki, you will be enrolled in the group studying Reiki and get all the workshop materials first level of Usui Reiki Ryoho, and be able to conduct sessions of Reiki to yourself and your loved ones. Request to all get the settings, promptly report their impressions and feelings in the same subject. This is an important stage of discipleship.